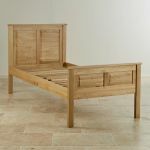 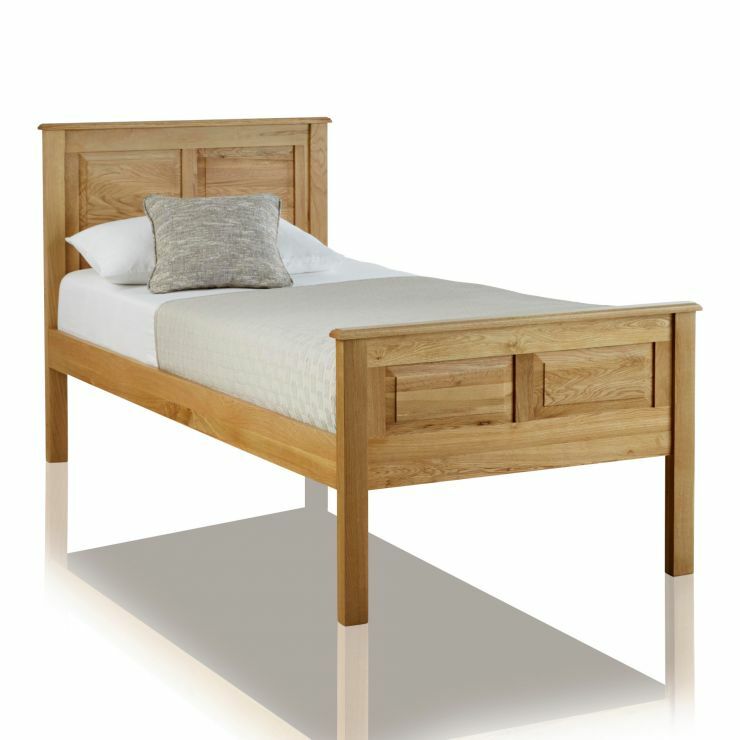 The Rivermead Oak Single Bed is a great option to go for when there's not quite enough room for a double. 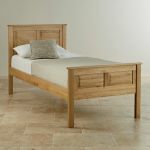 Just as stylish and luxurious as the other Rivermead beds, the Rivermead single is sumptuously smart, with oak panelling details and every inch constructed in solid A-grade oak, finished in a fine natural wax. 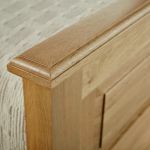 Even the slats are crafted from solid oak and with the addition of a comfy mattress picked out from our extensive mattress range, you'll be all set for a restful night of sleep. The bed stands on four legs at a decent height, making the bed easy to get in and out of and creating space for storage underneath the bed. 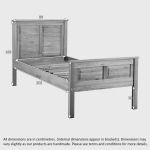 The Rivermead range contains plenty of complementary bedroom items.